Stainless Steel 316Ti Square Neck Bolts, SS UNS S31635 Stud Bolts Suppling at Jordan, Stainless Steel 316Ti Spring Washers , SS 316Ti Self Tapping Screw, Stainless Steel 316Ti T-Head Bolts Suppling at Poland, SS 316Ti Threaded Rods Manufacturing at France, SS 316Ti Fasteners Supplier & Exporter in Mumbai India. Alpha Overseas supplies and manufactures SS 316Ti Fasteners, which belongs to the standard CrNiMo stainless steel family. The properties of Alloy 316Ti Fasteners are similar to that of Type 304, except that the former alloy is stronger at elevated temperatures. We test these Grade 316Ti Fasteners on different standards and they are offered in economical rates. Comparisons of elevated temperature, pitting, mechanical strength, corrosion resistance, weldability and mechanical polishing in Type 316Ti Fasteners are also made. 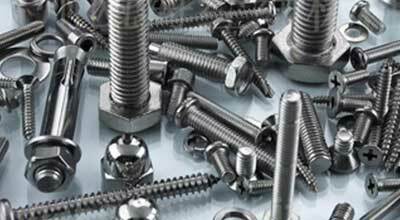 AISI 316Ti Fasteners also offer higher creep, tensile strength and stress-rupture at elevated temperature. 316Ti Stainless Steel Fasteners are often used in Chemical processing, Fasteners, Springs, Wire mesh, Thread inserts, etc. 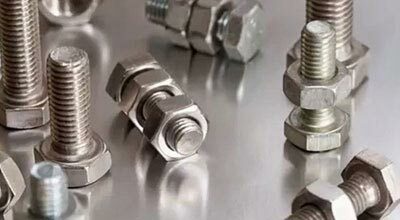 Stainless Steel 316Ti Nuts also contains an addition of molybdenum in its composition, which is further immune to grain boundary carbide precipitation (sensitisation). Stainless Steel 316Ti Bolts is titanium stabilized version of 316, which can improve the aqueous corrosion resistance of welds made in higher carbon grades. Due to their molybdenum content, the austenitic CrNiMo standard Stainless Steel 316Ti Washers can be used in applications with increased demand for corrosion resistance. Stainless Steel 316Ti Hex Nut Suppling at Indonesia, SS DIN 1.4571 Allen Cap Screw Manufacturing at Tunisia, ASTM A193 SS Threaded Stud Manufacturer, Stainless Steel 316Ti Hexagon Nut Suppling at Germany, SS 316Ti Hex Domed Cap Nuts, Stainless Steel 316Ti Hex Head Screw Manufacturer & Stockist in Mumbai, India. We are offering nice quality Stainless Steel 316Ti Screws that are available for high end industrial requirements. High carbon Stainless Steel 316Ti Stud Bolts can be susceptible to sensitisation, the formation of grain boundary chromium carbides at temperatures between approximately 900 Degree F and 1500 Degree F (425 Degree C to 815 Degree C) which can result in intergranular corrosion. We are Exporter of Stainless Steel 316Ti Fasteners in Worldwide Such as Zimbabwe, Jordan, Russia, Australia, Brazil, South Africa, Saudi Arabia, Nigeria, Namibia, Bangladesh, Algeria, Germany, Afghanistan, Iraq, Costa Rica, Turkey, Azerbaijan, Philippines, Nigeria, Romania, Ecuador, United Kingdom, Chile, Croatia, China, Iran, Denmark, Mexico, Gabon, Bulgaria, Egypt, Italy, Netherlands, Qatar, Venezuela, France, Peru, New Zealand, Oman, Colombia, Bhutan, Belgium, Slovakia, Kenya, Czech Republic, Serbia, Mongolia, Gambia, Argentina, Kazakhstan, Belarus, Lithuania, Morocco, Bolivia, Ghana, Malaysia, Greece, Trinidad & Tobago,Tunisia, United Arab Emirates, Nepal, Portugal, Lebanon, Macau, Sweden, Spain, Japan, Taiwan, Hungary, Estonia, Yemen, Switzerland, Israel, Poland, Kuwait, Tibet, Ireland, Puerto Rico, Angola, Libya, Austria, Iran, Norway, Mexico, India, Chile, Indonesia, Ukraine, United States, Singapore, Canada, Vietnam, Pakistan, Sri Lanka, Poland, South Korea, Finland, Bahrain, Thailand, Hong Kong. We are Suppliers of Stainless Steel 316Ti Fasteners in India Such as Dubai, Dammam, Pune, Cairo, Ernakulam, Muscat, Kuwait City, Jamshedpur, Jaipur, La Victoria, Kanpur, Gimhae-si, Bhopal, Lagos, Atyrau, Moscow, Sydney, Toronto, Colombo, Coimbatore, Bangkok, Mexico City, Kuala Lumpur, Jakarta, Ahvaz, Vadodara, Secunderabad, Mumbai, Edmonton, Chennai, Nagpur, Noida, Istanbul, New Delhi, Visakhapatnam, Granada, Houston, Geoje-si, Gurgaon, New York, Busan, Thane, Ludhiana, Vung Tau, Jeddah, London, Ho Chi Minh City, Doha, Hong Kong, Chiyoda, Riyadh, Kolkata, Brisbane, Perth, Thiruvananthapuram, Abu Dhabi, Ulsan, Santiago, Calgary, Manama, Madrid, Dallas, Tehran, Karachi, Petaling Jaya, Sharjah, Haryana, Al Jubail, Montreal, Singapore, Hyderabad, Surat, Los Angeles, Algiers, Lahore, Nashik, Bengaluru, Rajkot, Ankara, Aberdeen, Ranchi, Courbevoie, Baroda, Chandigarh, Seoul, Pimpri-Chinchwad, Rio de Janeiro, Ahmedabad, Navi Mumbai, Faridabad, Indore, Hanoi, Port-of-Spain, Caracas, Al Khobar, Milan, Howrah, Bogota, Melbourne.